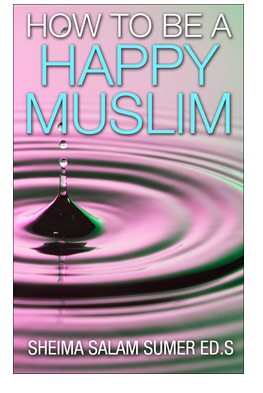 If you would like to receive a free chapter of my book, please send me an email at howtobeahappymuslim@outlook.com. Please view the Table of Contents tab on my website and choose whichever chapter you would like to receive. I will email you the chapter promptly. I usually suffer from anxiety and I sometimes have this feeling of doom. So far I am coping by reciting the Quran and zikir; and also trying to feed my thoughts with ‘happy thoughts’ and positive thoughts. Alhamdulillah it works most of the time but the feeling of impending doom do creep back in sometimes. Please e-mail me a chapter of your book that I can most benefit from. Thank you very much. Thank you for your comment. I will email you a beneficial chapter today in shaa Allah! Asalamualykum, i want to spend a happy life without fears, what should i do, can u plz tell me…. Salam, may I have this chapter? As salam alaykum waramatullah wabarakatuh. Kindly assist me, I want to do Matinah and my wife assisted me to ask my desired sister out and I want to be living an happy home with her and the newly insha Allah Matinah. Kindly, send me the chapters of your book and the peace of advice.